If you're a student, chances are you've started down the road of building your credit score. From credit cards to student loans, all lending agreements are opportunities to build and maintain a great credit rating. Your score will matter down the road when you're looking for a mortgage, applying for more credit or even trying to get an apartment. If you're new to the credit game, there are a few tips to build your credit score from zero to hero. If you have a credit card for emergencies and don't use it, consider making small purchases that you can pay off easily. Doing a little shopping? Want the latest issue of your favourite graphic novel? Buy it on your credit card and pay your bill in full. This is a good way to start building a good reputation with your lender. If you have a credit card of phone bill in your name, it's important to keep up with your payments. While it's always best to pay your bill in full, if you have to carry a balance it's best to keep it under 35% of your credit limit. Too many credit applications can be a signal that you're in financial distress. You don't need to have three different credit cards at this stage in the game so don't apply for them all! If you apply for credit and you're not approved, don't apply again right off the bat. Talk to a financial advisor about how to manage your applications and the best course of action. Elite Auto Centre can help you go from no credit to great credit. Start today by applying for credit with Elite Auto Centre! Our credit specialists will help you shop your way to great credit from no credit. 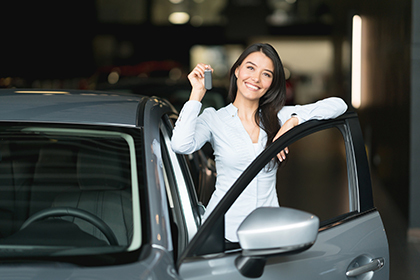 Affordable Auto loans are just one of the great ways to get the car you need and build the credit score you'll need tomorrow. Contact our Credit Advisor, Rochelle, for more information at 1 (888) 625-6547.